1. At present, Pia is 6 years older to Ray. The respective ratio between the present ages of Pia and Mini is 3 : 4. At present Ray is 14 years younger to Mini. What. is Ray's present age? 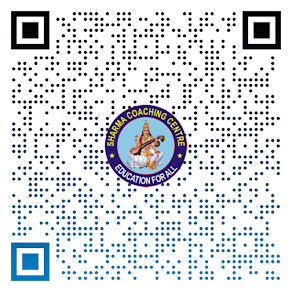 Directions (2-6) : In these questions, two equations numbered I and II are given. You have to solve both the equations and mark the appropriate answer. Directions (7-11) : Study the table to answer the given questions. 7. What is the respective ratio between the marketing expenses of company A and the marketing expenses of company C ? 9. 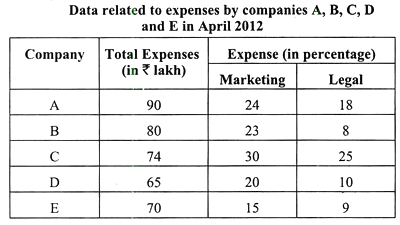 Marketing expenses of company D is less than marketing expenses of Company B, by approximately what percent? 13 √(624) × 14.02 + √(404) × 15.97 = ? 14. 8461 » 11.99 – 24.01 » 5/100 = ? 15. 14.85% of 679 + 19.9% of 219.89 = ? Directions (17-21) : What will come in place of the question mark (?) in the following number series? 17. 19 30 44 67 117 ? 18. 7 9 18 46 111 ? 20. 19 20 16 25 9 ? 21. 7.4 9.2 11.4 14 17 ? 22. A bag contains 5 red balls, 6 yellow balls and 3 green balls. If two balls are picked at random, what is the probability that either both are red or both are green in colour ? 25. A starts a business with a capital of Rs. 1,500/-. B joins the business 6 months later from the start of the business and C joins the business 8 months later from the start of the business. In the end of the year their respective share in profit was in ratio of 5 : 3 : 3. What is the sum of amount put in the business by Band C together? 27. A sells an item at 20% profit to B. B sells it to C at 10% profit. C sells it to D at Rs. 116/- profit. Difference between the cost price of D and cost price of A was Rs. 500/-. How much did B pay to A for the item? 28. 10 men can finish a piece of work in 15 days. 8 women can finish the same piece of work in 25 days. Only 10 women started working and in few days completed certain amount of work. After that 3 men joined them. The remaining work was completed by 10 women and 3 men together in 5 days. After how many days 3 men joined 10 women? 29. Rs. 16,000/- was invested for three years, partly in Scheme A at the rate of 5% simple interest per annum and partly in Scheme B at the rate of 8% simple interest per annum. Total interest received at the end was Rs. 3,480/-. How much sum of money was invested in Scheme A ? Directions (30-34) : Refer to the graph and answer the given questions. 30. Number of hats sold by store M during January is what per cent of the total number of hats sold by the store N during March and April together? 31. What is the average number of hats sold by store N during January, March, May and June? 32. Stores M and N sell only two types of hats : Fedora Hats and Trilby Hats. If the respective ratio of total number of Fedora hats to total number of Trilby hats sold by stores M and N together during March is 9 : 5, what is the total number of Fedora hats sold by stores M and N together during March? 33. If the total number of hats sold by stores M and N together in July is 15% more than the total number of hats sold by the same stores together during June, what is the total number of hats sold by the same stores together during July? 34. 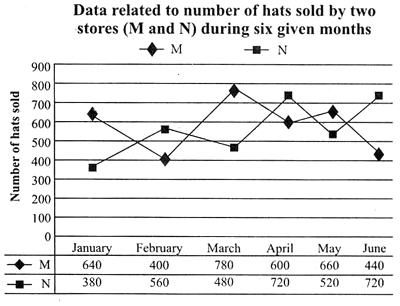 Number of hats sold by store M increased by what percent from February to May? 35. Monthly salary of Dex is 1/4th of his father's monthly salary. Dex's sister's monthly salary is 2/5th of their father's monthly salary. Dex's sister pays Rs. 12,800/- which is 1/4th of her monthly salary as study loan. Savings and expenses made out of the monthly salary, by Dex is in the respective ratio 3 : 5. How much does Dex save each month?